Video Review and Motivation for Warm Weather and Water! 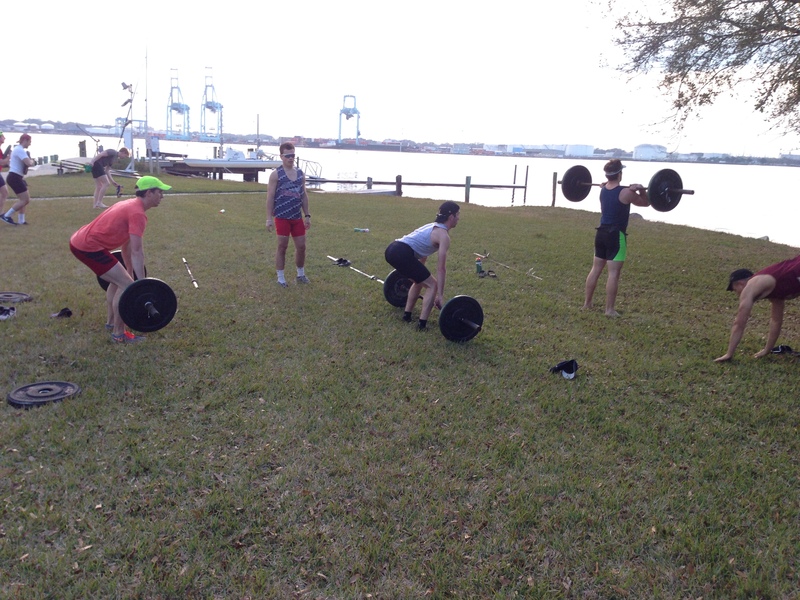 BC Men working on their Deadlifts and Cleans in Jacksonville, FL during Spring Training. Are you sick of Winter? I think I am, especially after visiting Jacksonville, FL with the Boston College Men’s Rowing Team over the last three days. It was so nice to coach in flip-flops, shorts, and a t-shirt. To inspire you and motivate you to join Renegade Rowing on the Water as soon as the ice melts on the Charles River, I’m sharing a video of some 4+’s and 2-‘s that I coached this week. This is their first time on the water since last fall. What are they doing well? What do they need to work on? Are you focused on rowing on the erg as if you were going to row on the water? Please share your thoughts in the comments section and consider joining Renegade Rowing for sculling this Spring. This entry was posted in Motivation, Our Mission, Rowing and tagged balance life, endurance sports, exercise, functional movements, health, outdoors, people, personal experiences, rowing, sports, training, water by Renegade Rowing. Bookmark the permalink.